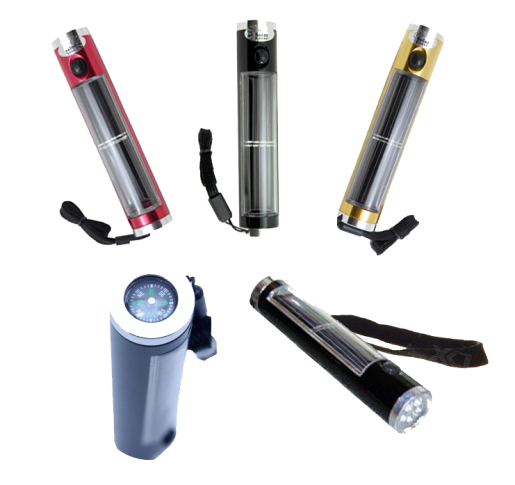 The Sun-In-One™ Solar powered flashlight is made from recycled aluminum. Solar powered flashlights charge when left under the power of the sun so they are inexpensive to operate and great for those who forget to check or buy batteries. Our solar powered flashlight is versatile and lightweight so it is perfect for packing on a camping, hiking or hunting trip, and great for using in the car. You can use the powerful 120 lumen spot light or the 7 LED 35 lumen floodlight.